The No. 404A hand-made modeling tool has been expertly crafted to enhance your ability to sculpt the finest of details and texturing in your piece. 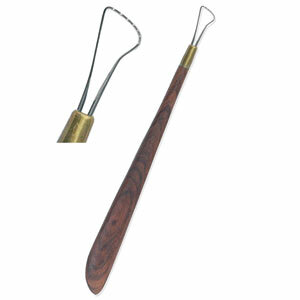 It is made with a single sharpened serrated wire end and exotic wooden handle for comfort while working.